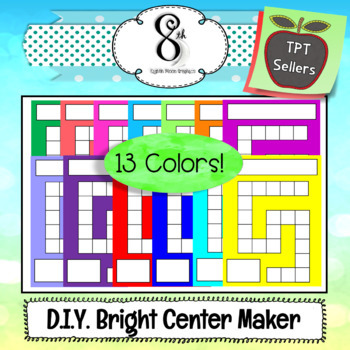 This set is designed to make learning centers easy to make! 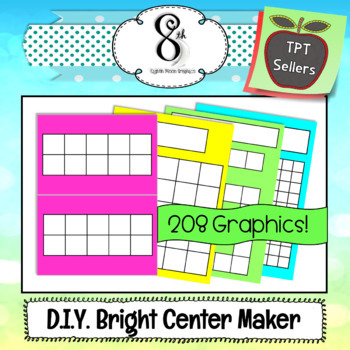 There are 13 different bright color backgrounds with 16 learning center templates, for a total of 208 images. 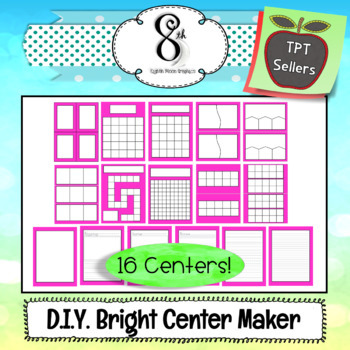 The centers include: flashcards or task cards, bingo, matching puzzles, sequencing, a board game, a 100s chart, ten frames, 20 frames, a blank page, and 5 different lined writing papers on different levels. These come as CLIP ART, not as a Power point file, so you can insert them right into your projects. Each file is sized just under 8 1/2 x 11. That way, regardless of what program your buyer uses to open your product, they won't go off of the page. This product is included in my Product Making Tools Bundle. Commercial use is permitted for small business, such as TPT, provided that you link back to my store using my credit button. You may also like these Winter Holidays DIY Centers!